Spinach is often defined as a super-food, and rightfully so. The leafy green vegetable is packed with vitamin A, vitamin K, vitamin C, folate, magnesium, iron, manganese, calcium and fiber. Spinach also contains loads of phytochemicals, which are substances found in plants that help off disease. Although you can enjoy spinach leaves raw, lightly steaming the vegetable helps break down the oxalic acid, a chemical found in some foods that can interfere with the absorption of calcium. Once the oxalic acid is broken down, your body is able to absorb all the nutrients you need without interference. Fill the bottom pot of a double broiler or steamer pot up about halfway with water. 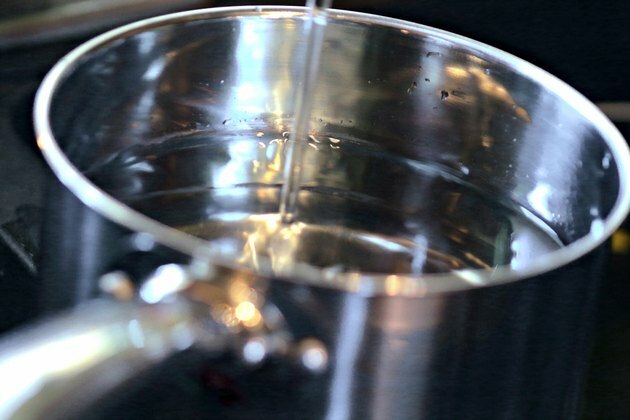 Put the pot on the stove and turn the heat on high, allowing the water to come to a boil. 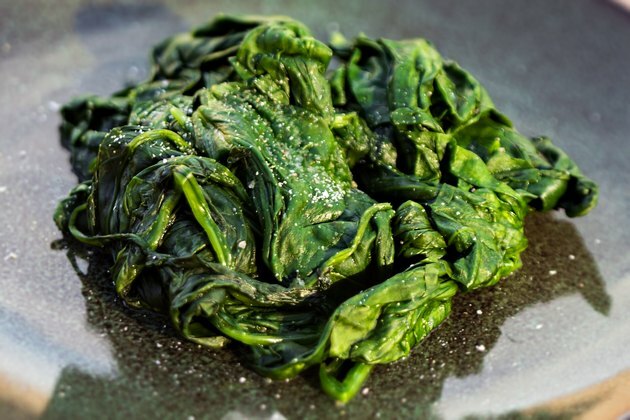 Wash the spinach thoroughly with cold water and vegetable wash, if you have it. Pat dry with a clean paper towel. Chop up the spinach roughly, removing any tough stems. 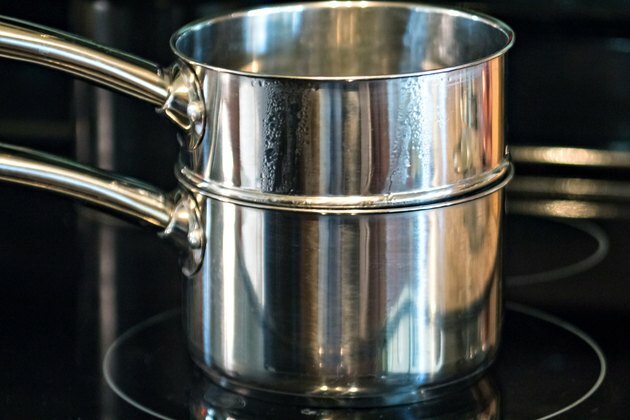 Put the top pot of the double boiler on top of the bottom pot or place the steamer basket into the pot when the water is boiling. Turn down the heat and allow the water to cool down a bit. 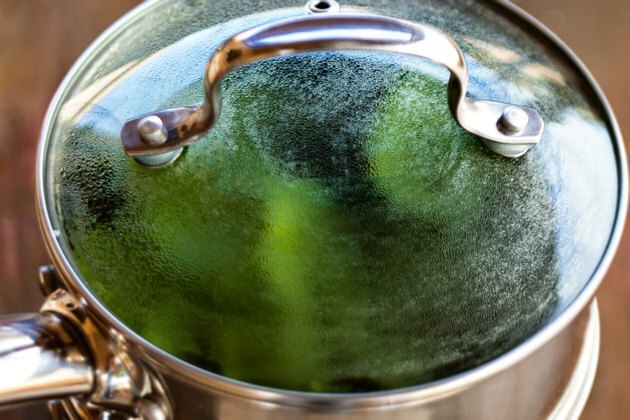 Fill the top pot of the double boiler or the steamer basket with your washed spinach and cover. Allow the spinach to sit for a few minutes. Keep an eye on the spinach as it cooks. 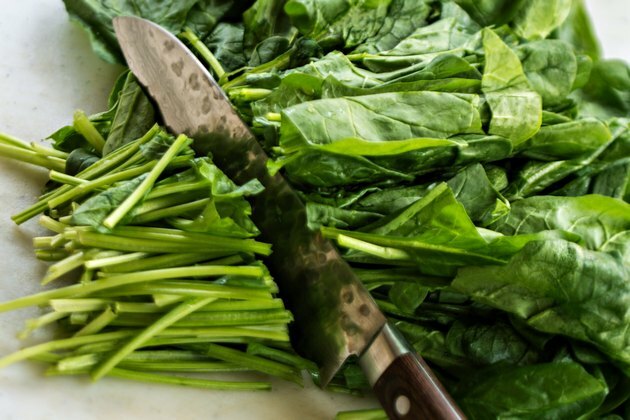 Spinach cooks rapidly and can become overcooked very quickly. Remove the spinach from the heat as soon as it starts to wilt. 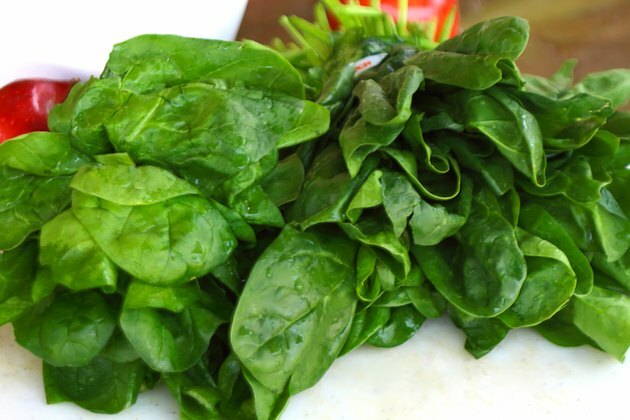 If you wait too long, the spinach will absorb all the moisture from the steam and become soggy. 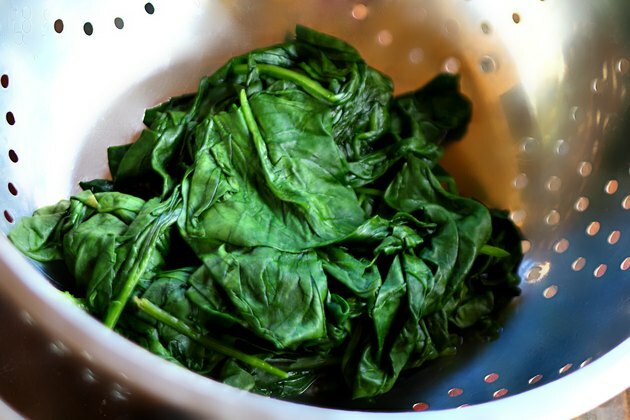 Turn the spinach out onto a plate covered with a paper towel or into a strainer. 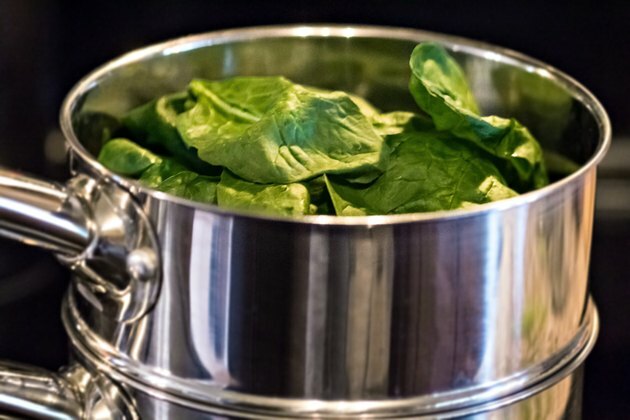 The paper towel will absorb any excess moisture and the strainer will let any excess moisture to drip out of the spinach. Season the spinach as desired. Salt, pepper, lemon pepper, lemon juice, garlic powder and onion powder all make great additions to steamed spinach. Serve warm.